The animal world is fascinating and this course is going to dig into some of the amazing things that animals do. Are you ready to train as a zoology expert? 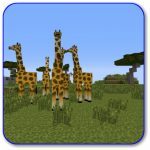 Begin by learning how to classify animals and what the food chain is. Next, you will have to grab your glasses and see if you can spot these amazing animal camouflages. Finally, grab an airplane and take off on some migrations that will make your head spin. When you are all done, we will let you hibernate! Plants often behave in ways that can appear magical, and this course is going to look at some amazing examples. You will begin by learning the parts of a plant and the plant life cycle. Next, plant adaptations and some of the amazing things that happen in forests will fascinate you. Finally, we will find out who George Washington Carver was and why he is important to the plant world. Did you know that the weather is linked to the seasons? In this course you will learn about the connection between the two. Fall and tornadoes, spring and hurricanes, summer and clouds, and winter and precipitation all go hand in hand. 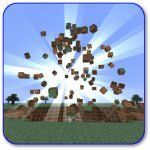 Have fun studying these amazing forces and see what kind of havoc you can wreck on the Minecraft server when you let them loose. Matter is amazingly diverse and this course is going to take you through that diversity. You will have fun with solids, liquids, and gases, looking at the physical and chemical changes they can undergo. How does temperature affect matter? What is the periodic table? What happens when you dump water on lava in Minecraft? There is so much to learn about matter and so much fun to be had playing with changing states in Minecraft! 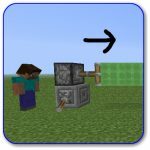 Does Minecraft follow the rules of gravity? Will a block of wood float in the ocean? 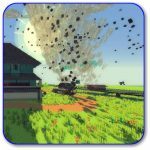 In this course you will test the effects of gravity, magnets, pushes and pulls, simple machines, and floating versus sinking in the world of Minecraft. By the end of the course you will be able to tell your friends whether Minecraft is a “real world” or a great place to make believe. What will you discover?